For the comic genius, dead in an apparent suicide, there was no reprieve from the darkness. I read this article and found it very interesting, thought it might be something for you. The article is called Robin Williams: His ‘Little Spark’ Gave Off So Much Light and is located at http://modernloss.com/robin-williams-little-spark-brought-much-light/. I met Robin Williams this past January while on assignment for Variety, where I am an editor and frequently cover the TV beat. I was visiting the Los Angeles set of “The Crazy Ones,” the CBS workplace comedy that marked Williams’ return to series television following a 31-year absence. Williams played Simon Roberts, a quick-witted, albeit unorthodox, ad man attempting to hold his Chicago firm together with the guidance of his business savvy, detail-oriented daughter, played by Sarah Michelle Geller. Williams, dressed in a simple pressed suit, hands clasped just below his stomach, stood alone by the elevators, which were emblazoned with an illustrated, larger-than-life-sized rendering of his image (per the show’s set design). With his hair combed to the side, Williams, then 62, appeared shy and boyish. He wore a semi-melancholic grin on his face — an expression that seemed to indicate not feeling entirely comfortable in a room filled with producers and PR reps and pushy members of the Hollywood press. Aside of gushing over all of his movies that I’d watched and loved over the years, the rest of our conversation is a blur. A longtime entertainment journalist, I’ve met almost everybody there is to meet in the film and TV industry, and usually I’m not at a loss for words. But Robin Williams left me dumbfounded. I felt like I was standing in the presence of greatness. “The Crazy Ones,” cancelled after one season, was not necessarily the creative highpoint of Robin Williams’ small screen career — there were many bright spots, to be sure, but it wasn’t revolutionary in the way “Mork & Mindy” was — but it hardly mattered. Williams was an improvisational genius who nearly always transcended the medium in which he appeared. 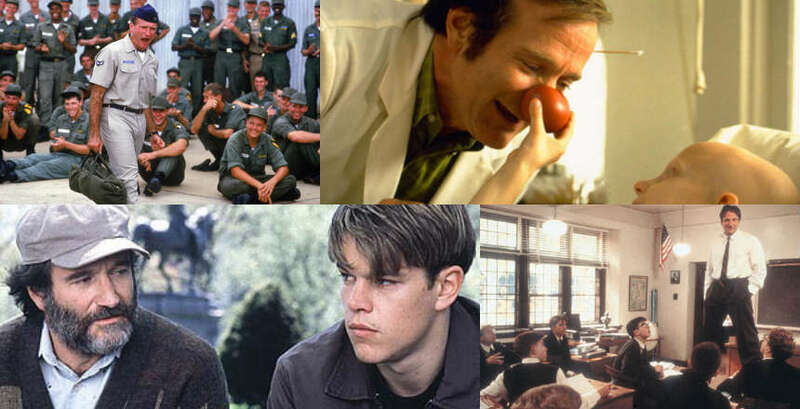 From “Good Morning, Vietnam” to “Dead Poets Society,” from his stark, dramatic turn in “The Fisher King” to his Oscar-winning performance in “Good Will Hunting,” Williams possessed a singular brand of comic brilliance unmatched in even the most talented of his peers. I am not shocked that Robin Williams died, which I suppose is a kind of sadness unto itself. Heartbroken, yes. I will miss his physical presence in the world, his eloquence on stage and on onscreen, his wild laugh, the joy he gave unto others. But I am not shocked. I am not shocked when any celebrity, when any person, who has suffered from clinical depression and the merciless disease of addiction dies. As someone that has experienced loss and despair, lived through the horrors of addiction and known countless others whose lives have been swallowed whole by the devastating effects of mental illness, Robin Williams’ suspected suicide comes, unfortunately, not as a surprise or as something unfathomable but as yet another ringing wake-up call to the fact that we still have so very far to go as a society in terms of understanding, helping and healing those in need. Especially those who, even in their deepest grief, bring us so much happiness. Malina Saval is the author of “The Secret Lives of Boys: Inside the Raw Emotional World of Male Teens”and the novel “Jewish Summer Camp Mafia.” She’s an associate features editor at Variety.